Your Blog Content Strategy Workbook should now be in your inbox. If you can’t find it there, please check your spam/junk folder and whitelist my email address riz [at] thepurposeblog.com. This will ensure that you will see all my exclusive subscriber content and free resources in your inbox moving forward. PRO VERSION. 58 printable pages—45 planner pages, 12 inspiring inserts and motivational prompts, plus free dotted grid templates. 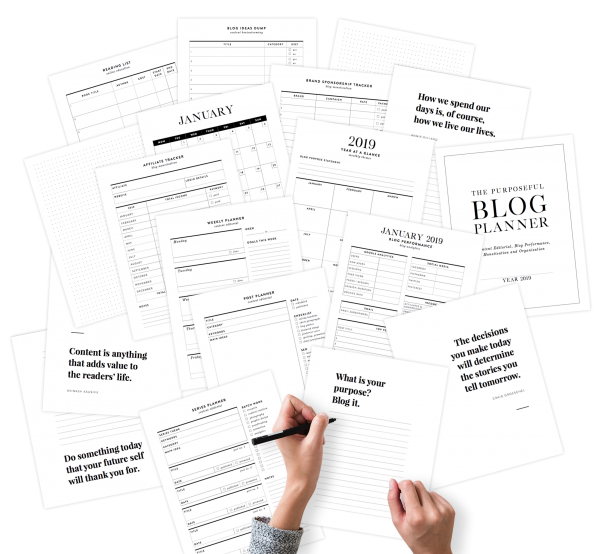 Plan your content editorial, organise your blog assets, keep a record of your resources and online education, and track your blog performance and monetisation strategy with this Purposeful Blog Planner.